There are two things we are big fans of at The Innovation Garage. The first, is educating companies on how to Innovate and Grow. The second, baseball. Baseball is a way of life here. Both of my son’s are all in. So, by their passion for the game, my wife and I must be all in too. Nothing new here for any parent that has kids passionate about something. Spring Baseball. High School Baseball. Travel Baseball. Sponsor Baseball. Baseball on TV. College World Series. MLB All-Star Game. MLB Home Run Derby. College World Series Home Run Derby. Fall Baseball. Batting Cages. Batting Practice. Baseball gear. More baseball gear. Throwing the ball in the yard. New Baseball Gloves. Theories and practice (and lots of debate) on how to best condition a new baseball glove. What do you mean, you need another bat? Travel team tryouts for next summer. We capped the summer with a visit to see some good baseball. We try to get to one ball park a year outside of our local area. We live near Cleveland, and we love the Indians. Unfortunately for us, to see some good baseball, we needed to drive to Pittsburgh. Pirates and the Giants. Pittsburgh won by the way. Go Bucs! All Baseball, All the time. You get the point. During this past summer, my son’s and I spent time on working the fundamentals. 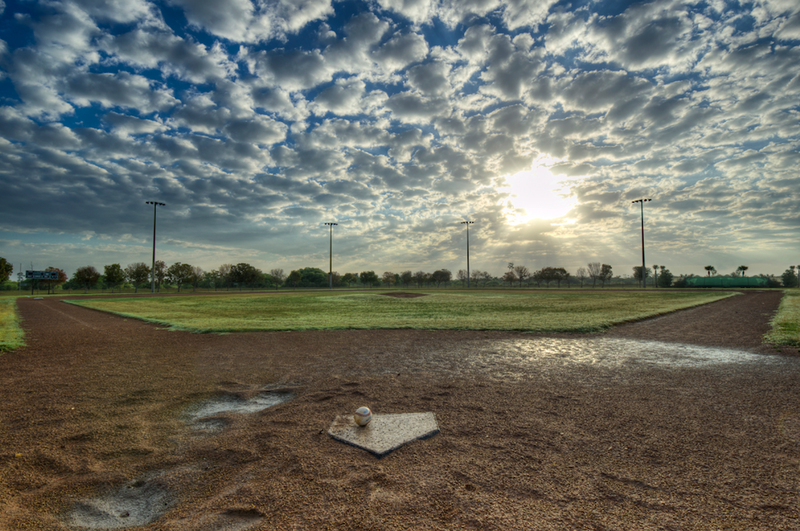 A few times a week, in the early morning or mid afternoon, we would spend some time at a local high school field. In the early morning, with the sun just coming up, dew in the grass, and the gentle warming and drying of the field. In the afternoon, with the heat and humidity bearing down, we couldn’t work as long. But in both cases, it was pure magic. It’s the stuff I’ll remember when I’m in the old folks home. If, I can still remember anything. We would work on the basics of baseball. The fundamental stuff. During the sessions, my older son would teach his younger brother the basics of footwork. 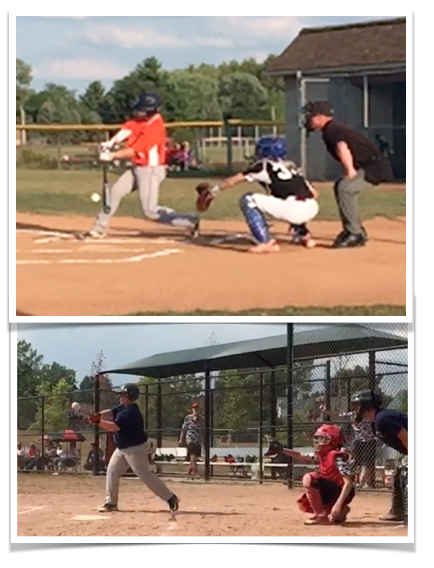 Both in the outfield, on how to catch a fly ball, and the footwork and setup needed behind the plate as a catcher, depending on the situation. Strategy and the tactical fundamentals. Basic mechanics of how to throw, swing, catch, and the importance of footwork on the field. Body position and Body Mechanics. The swing steps. Watch the ball to the bat. Elbows Down. Hands High. Hands to the ball. Step to ball. Head Down. Contact. Hip Turn. Follow thru. I learned from my boys that there are 7 simple steps (eight if you count ball contact) to help develop your baseball swing to take advantage of your natural body mechanics. They will both share this with your kids. Just ask them. The cool part is, that as the summer progressed, and as we are now in the fall-ball season, that fundamental work has paid off. The spark is lit with my younger son. When I asked my son how he knows what to do and why, he points back to the summer sessions with his brother. Learn. Do. Slow and Smooth. Repeat. Increase your speed. As with anything, in order to progress, you have to work on the fundamentals. In order to get good at something, you have to practice the fundamentals with TONS of repetition. No matter, how old you are, it’s all about the fundamentals. But In working with my sons, something had changed with the baseball fundamentals. This way to approach batting was completely different than what I learned as I kid growing up.They both taught me NEW things about the old fundamentals. Things that were way different then what I learned when I was a kid. The basics had changed. They were the same, but different. Simpler for sure, and perhaps if I was open to it, maybe even better than what I thought I knew. 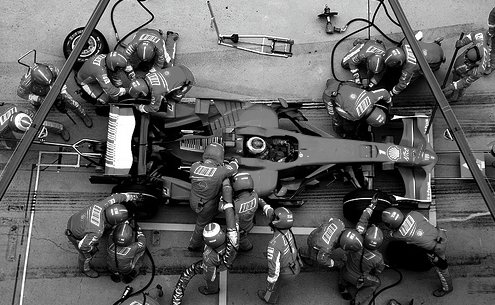 Why is Innovation is a Game of repetition? How does all this relate to Innovation? Well, in client sessions over the last two months, this need of basic innovation education and need for repetition has become more and more obvious to us. So much in fact, it’s a key learning we’d like to share, with you. You must be willing learn some basics. Most likely, basics that are different from what you think you know. Once you learn them, you must practice and repeat them over and over. If you apply these new lessons and techniques to what you already know, you can continue to improve and grow. By create skills we mean, how you create ideas. Ideas for products. Ideas for manufacturing processes. Ideas for office processes. Ideas for your order to cash cycle. Ideas for how you work and collaborate with vendors and suppliers. Ideas for how business processes should work within in your company. Ideas for continuous improvement and cost reduction. Ideas for designing leap innovations of you products, services, contracts, and your supply chain. Ideas that are ahead of your customer. We can tell you, with absolute certainty, that blank sheet brainstorming doesn’t work. You need some basic foundation skills like stimulus mining and mind mapping in your tool kit. You also need a basic understanding and true clarity on the problem you are solving for. With these basics in place, you can create ideas to solve any business challenge in front of you. How do you communicate the benefit promise of the idea? How do communicate to your supervisor, production team colleague, the CEO, or your end customer? The “What’s in it for them” by embracing your idea? Once you understand the business problem you are solving for, and you have created some ways to solve it, you can communicate with clarity on the benefit of your idea. We can tell you that once the basics of communicating the benefits of the idea are shared and understood by your team, a natural collaboration culture begins to build and grow. Once you have an idea and can communicate it’s benefits, how do you know that you should keep working the idea? 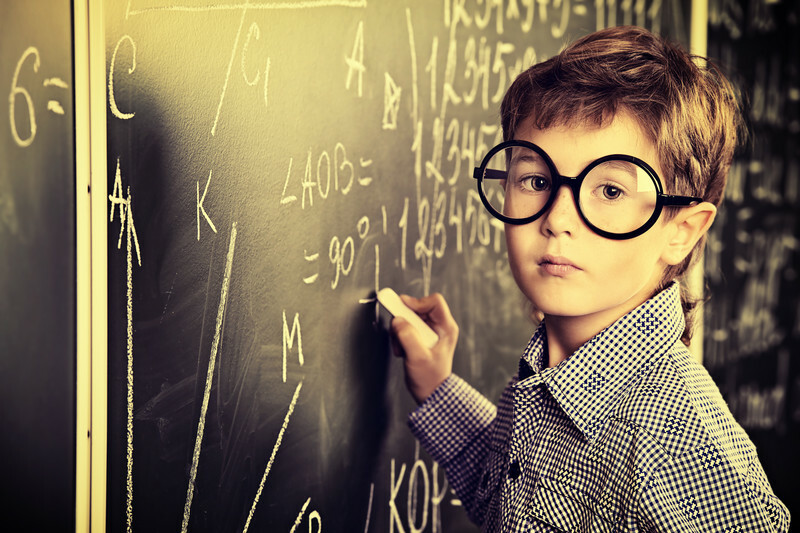 What is the simple math on the time or money you will save, or the first year sales revenue, or the strategic benefits of the idea, bases on hard quantifiable numbers and dollars? How will you bring the minimum viable version of your product, process or service to the market so you can ship fast, learn, iterate and improve with immediate feedback from your customer? Systems Driven Leadership Skills are necessary. Knowledge of the create, communicate and commercialize skills can help you drive out from your team the “reactive” and “that will never work” nature that’s programmed into each of us as a first response. When someone on your team presents an idea and your inner monologue whispers, “that will not work”, “that’s a stupid idea”, or “that will fail”, apply the tools and fundamentals of innovation that you have learned. The methods and tools are a counter-measure and are the exact opposite of how we’ve been programmed to respond to someone’s new idea. We encourage them and build them up. We use math to build the idea up, or identify with math why it’s not aligned to our strategy so we can move on to something else. How as a leader can I help instill the culture with a system of leadership? Learn and apply the fundamentals. Train up your team. Create, Communicate, Commericalize, Systems Driven leadership. Start slow and smooth. Slow and smooth at first. “Slow is Smooth and Smooth is Fast!” The phrase and It’s origins are core to first emergency responders and an intrinsic part of the Marine Corps and Navy Seal leadership methods.The origins can probably can track back to Sun Tsu and the Art of War. Start slow. Then go as fast as you can soon as you can. The skills and process will become second nature and you will go faster. Mistakes are good. Thank your team for making them. If they are making mistakes, it means they are not playing it safe. Have successes…Speed up as you learn…it will become second nature. Does this philosophy really hold true with Innovation? Absolutely. Step one, learn. Step two, apply the learnings to get smarter. Step three, Continue with repetition. The sequence of success, will look like this. Your education foundation will become the basics to your speed with Innovation. Your business fundamentals. Your business fundamentals become the basic building blocks of your operating system for how you run your company. How you run your company becomes the foundation for your long term culture of Innovation and growth! Start. Learn the new. Try it. Fail. Get Smarter. Drive out fear. Repeat. Reach out to us for a lunch and learn, a 4 hour express session, or a 1 to 1.5 Day Executive Program. We will share the high-level process, methods, the enabling software and tools, and can prove with REAL data, what companies need to do to create the culture to innovate with platforms and systems that enable long term growth.